House Intelligence Committee Chairman Adam Schiff (D-CA) dropped a tantalizing bit of information Wednesday morning about Michael Cohen’s congressional testimony, previously planned for February 8. “In the interests of the investigation, Michael Cohen’s testimony has been postponed until February 28th,” Schiff said in a statement. Cohen’s testimony before another committee, House Oversight, has already been postponed once before due to what he called “threats against his family.” President Donald Trump has publicly suggested Cohen’s father-in-law should be investigated. The Senate Intelligence Committee subpoenaed Cohen after that delay to compel him to sit down for an interview as well. 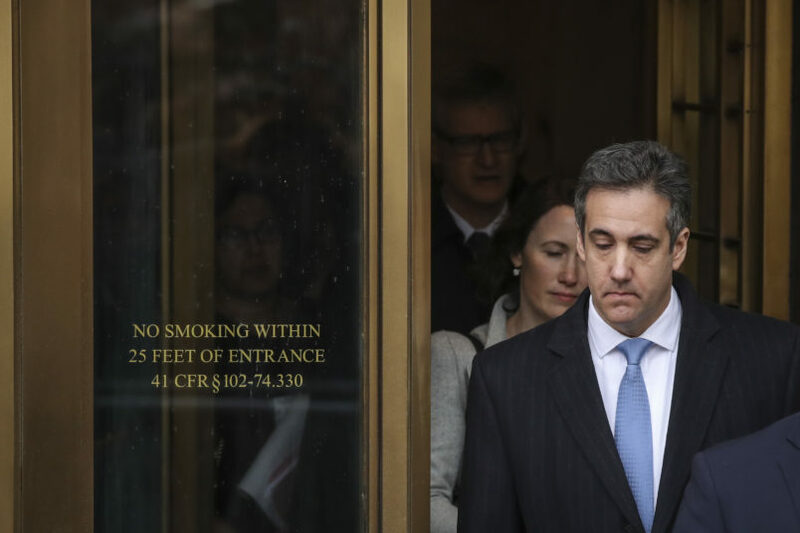 Amid all of the congressional interest, Cohen is still working with investigations out of the New York Attorney General’s office, the Manhattan U.S. Attorney’s office and special counsel Robert Mueller. He is set to report to prison for several financial crimes on March 6.